Where are all the Short Sales?? Short Sales require their special marketing considerations..
Where are all the Short Sales?? Short Sales have been around a long time..longer than I’ve been in the Real Estate industry, and that’s going on 18 years. I was very active in the most recent Short Sale go around, which began in 2009. I was selling New Homes from 2000 to 2005, and I remember being very aware that something had to give! Prices were zooming up, La Quinta alone was seeing 22% per year increases in values for residential homes..NOT sustainable. I went back to the California Board of Realtors, and got my Short Sale Certifications, NAR, SFR, and HAFA. I just wanted to understand how to help people get out from under their properties when the market slowed, then tumbled. If you are upside down on your property, a Short Sale IS one of your best options. Give me a call at 760-285-3578 if you have questions about your property value, and whether a Short Sale may work for you. Short Sale Specialist for the Coachella Valley: Kimberley Kelly, Certified Short Sale Specialist for the desert cities, has put together the Short Sale statistics for the past 6 months. The peak of our last phase of bank defaults, and consequent “settled for less than amount owed.”, began in 2009, and screamed through 2011. At that time, the Lenders were as clueless as their mortgagors. Now. however, it is a much more efficient system for the lien holders, and with a Certified, and even more importantly, EXPERIENCED, Short Sale Realtor, if you find yourself upside down, or even near upside down on your property payments, do not panic! Pick up the phone, and call for your free property value, and consequent option possibilities, at 760-285-3578. Experienced Short Sale Agent closing another one! Another Short Sale moving to close! As with most businesses, experience DOES count! An experienced Short Sale Agent is imperative to a successful transaction. Many banks now demand Certification by your agent as well, and I am certified in both SFR (National association of Realtors certification), as well as HAFA, (Gov. Short Sale Program). This beautiful Masters home at PGA West has two notes with Chase. Listed at $1,556,000 and with a solid offer within 21 days, Chase has now accepted the offer, and we are moving along to CLOSE! If you are feeling like you may need to get out of your mortgage, or just want to explore the Short Sale guidelines of your personal situation, give me a call for your FREE CONSULTATION at 760-285-3578. Are Short Sales making a comeback in the Coachella Valley? Being a certified Short Sale Agent here in the Coachella Valley, California, I am definitely seeing an uptick in distressed homeowner activity. More calls from tentative sellers. More requests for short sale information. More inquiries regarding the Short Sale process with a particular lender. Throughout the Valley, Short Sales have remained relatively low over the past 3 years or so. Our housing market has stabilized to a large degree, so why the gradual increase in activity? I suspect there are several things that are happening in our economies that are converging to create a perfect time for the Short Sale process to once again gain momentum. If you have questions regarding a potential short sale, give me a call for your FREE consultation at 760-285-3578. Short Sale at PGA West in La Quinta, CA. Estate home at 80775 Weiskopf, PGA West in La Quinta, CA. Short Sale at PGA West in La Quinta, CA. Premier Location and outstanding Southern VIEWS! We don’t see that many Short Sales any more, so they get alot of attention! This estate home certainly deserves it. Touting all the most desirable qualities for a premier Coachella Valley winter destination property on the golf course at PGA West, including Southern VIEWS over the Pool to the Lake, to the double fairways, to the Santa Rosa Mountains beyond. This home will NOT sit, so call me for your private tour today at 760-285-3578. The best thing about this particular Short Sale?? It’s been meticulously maintained, and pre-approved at the List Price of $1,556,000. HAFA short sales are MORE attractive! 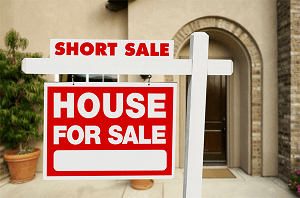 If you are thinking of Short Selling your primary Residence and have a hardship that qualifies you, the HAFA short Sale process just got much more attractive! The Banks WANT you to stay in your home and to keep it up! That means keeping the utilities and HOA dues, if any, paid up and in good standing. Keep the property in decent condition, including pools and landscaping. The BEST NEWS is that the Relocation fee to YOU, the Seller, has been increased from $3,000 to $10,000!! That’s HUGE! And if you have a 2nd lien against your property, the first is now able to pay the 2nd as much as $12,000 to get that lien released! Think you may qualify for a La Quinta or Desert Area HAFA SHORT SALE? Check out the HAFA GUIDELINES here. If you think you may need help with a Short Sale, give me a call for your FREE consultation! Nearly all real estate professionals, from listing agents to short sale realtors, recommend having an extensive home inspection conducted before making an offer. The process is designed to help you avoid unexpected costs associated with repairs stemming from issues or damage sustained prior to your move in. If any issues are discovered during the inspection, you will then have the opportunity to go back to the seller and re-negotiate, based on the potential costs you may incur. As you can imagine, home inspections are essential to ensuring that you get a fair deal on the property. Whether you’re interested in Palm Desert real estate or a house in the mountains, home inspections are an invaluable resource. 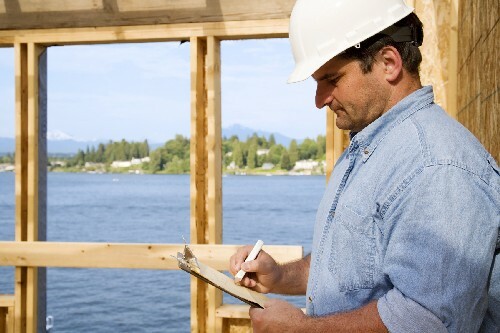 A home inspection typically evaluates several aspects of both the interior and exterior of the house. If you are working closely with listing agents or short sale realtors, you may want to involve them in the entire process, as they may have some inside knowledge about the property itself, or have experienced situations that are similar to any issues you may come across in the process, and have solutions to help you renegotiate. The home inspector will assess important areas of the house where issues may be difficult to see for the untrained eye. For example, they will look for cracks and irregularities in the foundation and leaks in the roof, as well as examine the sills on windows, seals on doors and peeling paint, among a wide range of other potential issues. They will thoroughly inspect the infrastructure of the home, including the electrical and heating systems, as well as air conditioning units, which can be very important when it comes to Palm Desert real estate and other desert properties. In addition, they will ensure that the home is properly situated for drainage. If the home inspector discovers potential issues, this does not necessarily mean you should give up on the property. Think of the inspection a resource that will provide tools for you to accurately determine the home’s value, prevent you from incurring costs that you shouldn’t be paying for, and ultimately, help you obtain the home you’ve been dreaming of. Visit this link if you are in the market for Palm Desert real estate or homes in other parts of the Palm Springs Valley. 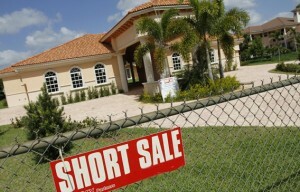 Working with an experienced, certified short sale specialist can streamline a process that is often times very tricky. Knowing that you have a seasoned expert in your corner will eliminate any stress involved with such a transaction. 1. Experience. This type of real estate transaction is different than a normal home purchase, and therefore, can be very complicated to navigate. Working with a certified short sales specialist who has many of these types of deals under their belt will make it much easier for everyone involved. 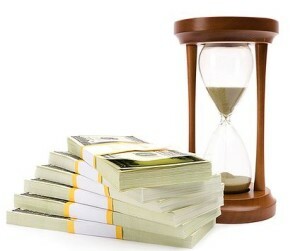 Often times, a short sale requires four or five times the amount of work that a normal transaction might take. Having an experienced short sale realtor in your corner will help ensure that the transaction is completed in the most timely, efficient manner possible. 2. They can identify red flags. There are many things that can cause problems with this type of transaction and a variety of issues that affect those involved. Working with a realtor with specific expertise in this area will give you some foresight into what to look out for and what questions you should be asking. 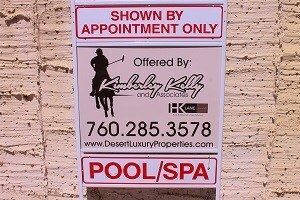 In the market for a new home or equestrian ranch in Palm Springs? You may want to consider working with our Palm Springs area short sale expert to find the property of your dreams at a price that won’t break the bank. Buying a short sale property can be an ideal alternative to the typical real estate transaction, as chances are that you will get the home you’re interested in at a greatly reduced price. Read on for five reasons that our Palm Springs area short sale expert recommends considering a short sale property. 1. Short sales are easy to find. When properties are on the brink of foreclosure, sellers will be more aggressive and list them in many places. When properties actually go into foreclosure, they are always listed and published. 2. Less competition. There is not as much competition when it comes to short sale properties. Many buyers find the process daunting and shy away because they don’t have a good short sale specialist to work with. 3. More control. One of the benefits of buying a short sale property is that you can control the amount that you are willing to pay. To execute a short sale, you work directly with the sellers and lenders, which gives you the opportunity to negotiate a lower price than you would be able to otherwise. 4. You can effectively target. Just as you would if you were looking for a property that is not in foreclosure, with a short sell you can target homes and neighborhoods that appeal to you. 5. Minimal risk. With a short sale, you won’t be in a situation where you have to put down a deposit to show you are serious. You’ll work directly with the bank, and if they reject your offer, you won’t have to spend a dime.